Research has shown that a headache, backache, indigestion, fluid retention, cravings, depression, or fatigue can be alleviated through diet and exercise. In addition to that, while we have no control over getting older, we can slow down the aging process, with diet and exercise as well. Women who eat a diet high in omega-3 fatty acids cut their risk for heart disease as well as reduce their risk for macular degeneration. During pregnancy, 3 servings/week may cut the risk for preterm birth. Safflower oil is high in omega-6 polyunsaturated fatty acids (linoleic acid). It has a high smoke point and low saturated fat content. It has been found to improve blood sugar and lipids, decrease inflammation, lowers blood pressure as well as the risk for heart disease. Supplements…they can’t replace a healthy diet! Studies have suggested that eating a small handful of nuts a day, improves blood lipid levels, as well as glucose and insulin levels. A diet high in dietary antioxidants such as those found in blueberries, broccoli, and small amounts of dark chocolate and even coffee, lower the risk of heart disease and stroke. Eat your anthocyanins! Better known as the blue and red pigments in colorful fruits and vegetables. What should we do for exercise? First and foremost, get your body moving! Find something that you love to do! Weight bearing/resistance exercises such as yoga and dumbbell exercises preserve bone density, improve your balance, and strength. On your path to reach your wellness goals, remember that we are always our own worst enemies. Celebrate the fact that you are taking the necessary steps to improve your health and your life! Find the time to do things you enjoy and that bring you a sense of calm and serenity. Stress and lack of sleep will wreak havoc on your body as well as your soul. 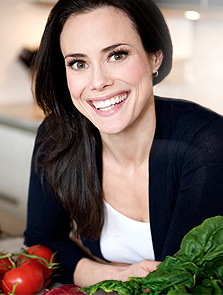 Lana Levy is a nutritionist specializing in taking a holistic approach towards healthy eating, not only to help her clients achieve their goals, but also help them maintain a healthy lifestyle. Lana has also incorporated her passion for yoga into her services for her clients, as a way to stay fit, and create a balance between the body and the mind. Lana received her degree from Columbia University, where she completed her Masters in Nutrition and Exercise Physiology. In 2010, Ms. Levy became a Registered Yoga Teacher through an intensive training with YogaWorks here in New York City. In 2011 she completed a Prenatal Yoga Certification.With a background in nutrition and yoga, Lana works with her clients to create customized nutrition plans and yoga sequences that are specifically tailored to their needs. Whether the goal is weight loss, healthy weight gain, energy improvement, pre and post natal health, relief from various gastrointestinal ailments, Just For Today LLC (www.justfortodaynyc.com) can provide you with tools to make a change for life! As a nutritionist, health writer and author of weight loss books people often ask me, “What do you eat?” I’m proud to say that I really do practice what I preach – I faithfully follow the eating plan from my latest book S.A.S.S! Yourself Slim, which means each of my meals is constructed as a puzzle with specific portions of 5 pieces: produce, a whole grain, lean protein, plant-based fat, and natural seasonings. I love this strategy because it’s simple and visual – there’s no need to count calories, grams or points; and the puzzle provides structure, but lots of flexibility. From meal to meal I can include foods, flavors or textures I’m in the mood for and enjoy what’s in season. It’s a chilly day in the marina so I feel like a warm breakfast. 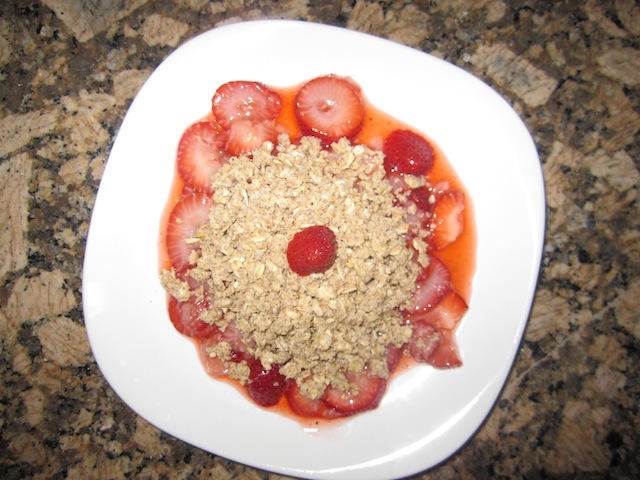 Since strawberries are in season one of my favorites right now is a mock strawberry crisp. For a delicious but healthy crumble topping I combine two tablespoons raw almond butter with a quarter cup rolled oats, working with my fingers until the texture is uniform. 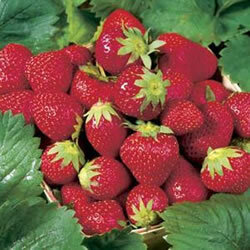 Then I slice some organic, local strawberries (yum! ), add a squeeze of fresh Meyer lemon, warm in the microwave for 45 seconds, and lightly mash with a spoon to release some of the juice. Topped with the crumble it’s I-don’t-want-it-to-end delicious, and I still have one puzzle piece left – organic soy milk, my lean protein, which I thoroughly enjoy in an amazing latte from Intelligentsia, my favorite coffee spot on Abbott Kinney Boulevard in Venice. Salads are my lunch staple. I always start with a few cups of organic greens and in-season veggies, and follow the philosophy from book by adding the other puzzle pieces. Today my whole grain of choice is cooked, chilled red quinoa, and I combined my lean protein, plant-based fat and natural seasonings by whipping up a quick batch of hummus made with chick peas, extra virgin olive oil, fresh lemon juice and roasted garlic. 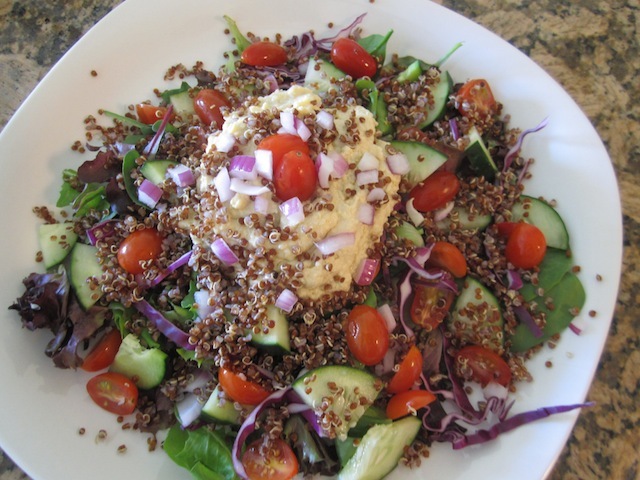 Each day I mix it up with different toppings, but this salad structure leaves me feeling nourished, energized and satisfied, and I don’t get hungry again for about another four hours. I’m still blown away by how plentiful citrus fruits and avocados are in California. 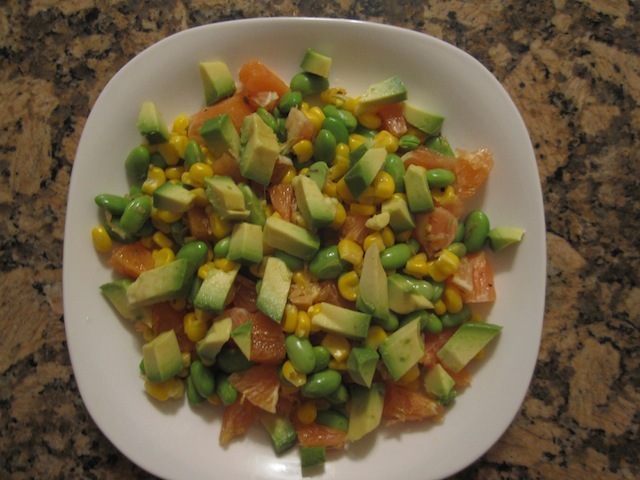 I have both on hand and it’s a beautiful warm day, so I decide to make the California Sunshine Salad from my book – sliced oranges tossed with sweet corn kernels (a member of the whole grain family), organic edamame and sliced avocado, seasoned with brown rice vinegar, thyme, cracked black pepper and organic lemon zest. It’s aromatic, refreshing and satisfying. I’m in the mood for something spicy and this meal, also from my book, is one of my go-tos. I sauté a sweet red bell pepper in organic low sodium vegetable broth, then add a handful of spinach, crushed red pepper and a dash of white pepper. 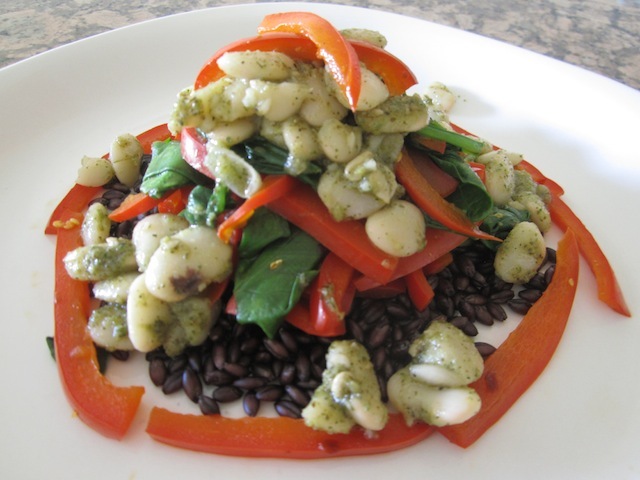 For lean protein and plant based fat I toss some broad beans with vegan basil pesto. I place the veggies on a bed of cooked barley (today I used purple) and top with the beans. I love to play food stylist when I’m preparing meals at home. I think it’s important because we eat with our eyes too – the aesthetic ups the satisfaction factor. I devoted an entire chapter in my book to dark chocolate, and a daily ‘escape’ as I call it is a mandatory part of the plan. 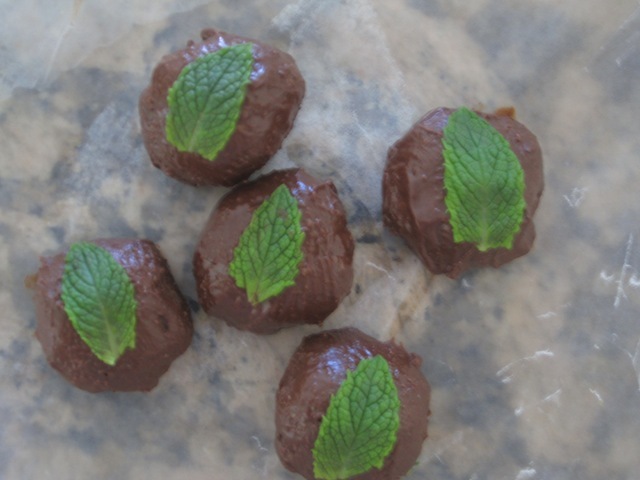 Tonight I partake by enjoying one of my homemade truffles (the recipe is in the book) pressed with a fresh mint leaf. Not only are chocolate’s antioxidants and minerals good for my health, but this small indulgence really does satisfy my cravings, so I’m not tempted when my hubby munches on chips or cookies. It’s the perfect ending to a healthy day! Cynthia Sass, MPH, MA, RD, CSSD is a registered dietitian with master’s degrees in both nutrition and public health. 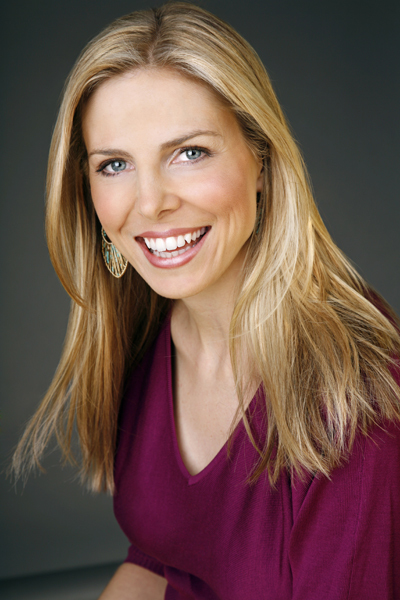 Frequently seen on national TV she’s the sports nutrition consultant to the New York Rangers and Tampa Bay Rays, a contributing editor and blogger at Shape magazine, and she privately counsels clients across the country. Her latest New York Times best seller is S.A.S.S! Yourself Slim: Conquer Cravings, Drop Pounds and Lose Inches. Making health both easy and attainable is of utmost importance, and spring is the perfect time to pursue this process of renewal and regrowth. As the weather warms, take this opportunity to make positive changes that will leave your mind and body feeling refreshed. To get started, here are five quick and simple tips for improving the way you eat—and feel—this spring. Empowerment. Ditch the diet mentality and make realistic lifestyle changes. Research shows that making small, feasible changes in dietary behavior results in long-term nutrition success. Go ahead and jump-start your newfound sense of health by keeping a bowl of organic fruit, like peaches and pears, on your kitchen table. Then make a goal to add one fruit a day to your nutrition intake. This is year that I’m going to tighten up my tummy. I mean business. I’m just so fed up with having a mushy muffin-top, and I have no more excuses since I’m not planning on having any more kids. The problem is that after having weathered some pretty big phases of weight gain during my pregnancies, I fear that diet and exercise alone won’t give me the results I want. Actually, I know they won’t, because it’s been a solid year that I’ve been working out religiously and eating pretty cleanly, and though I’ve lost a lot of weight, my stomach still spills out of my jeans. Since I’ve given the good old-fashioned muscle method a thorough go (and always will), I’ve decided that it’s time to get some extra “help.” I contemplated a tummy tuck, but it seems too invasive, and I freaked out after watching Kate Gosselin’s consultation (which also made me feel a little bit better about my stomach situation). So I started researching less invasive procedures, and decided to try the new Lipomassage by Endermologie. “It is the only scientifically proven technique, targeting the fat that is resistant to diet and exercise. To date, all our clients who have experienced this technology have been extremely satisfied,” says Nicole Contos, CEO of NYC’s Smooth Synergy Spa, one of the few medispas that has the latest LPG Lipomassage machine, called the Integral. Here’s how the treatment works: You strip down, then slip on a body stocking (think of a unitard made out of pantyhose), then the specialist massages your body with the machine’s new Ergodrive head, which is equipped with a bunch of motorized rollers that lift up and knead your skin in various different directions. This “mechano-stimluation” of the skin’s surface is proven to stimulate a deep biological response to eliminate fat cells, reduce cellulite, firm the skin, improve lymphatic drainage and overall reshape the contours of your body–all without any cutting, sucking, or other unpleasantries. Each treatment costs $150 and takes about 45 minutes, and upon my first consultation, I was told that I may see results after the first session, but should commit to at least six or eight sessions, getting two a week, to start reaping the benefits. A total of 20 sessions is suggested to see maximum results, after which you can go into maintenance mode with one monthly treatment. I was a little afraid of the cost and time commitment, but stayed the course because, as I said, I mean business. I have to say I felt a little slimmer after the first treatment, but it wasn’t until after my third treatment that I started to notice visible results. I could see that my stomach skin was more toned, less squishy and didn’t have that bloated look. I was really impressed. Maybe it was a slight body change that only I would notice, but it was enough to make me a believer, and I wound up doing a total of 10 sessions. Each week I saw a little more improvement, and by the end of five weeks, I can definitely say that I’ve gone down one pant size. I should point out that I kept up my workout regimen and good eating habits at the same time. In fact, I was told Lipomassage results are actually enhanced when you work out soon after a treatment because it’s easier for your body to flush out the toxins and fat. The most challenging part of the whole process was finding the time to fit it into my day, but once I made it to the spa and lied down on the table, I was thrilled to get those 45 minutes of “me” time, and the procedure is actually very relaxing. It was just the treatment I needed to get back into all of my pre-pregnancy clothes, so while I did have to shell out a lot of money and etch out the time, I feel like I’ve gained a whole new wardrobe, as well as some much-needed body confidence. Like most spas, Smooth Synergy offers a discount if you buy a series of 10, 15 or 20 sessions, so if you are contemplating Lipomassage, be sure to ask about package deals. Now, in all honestly, I won’t commit to getting into a bikini too fast–there are still some issues that maybe only plastic surgery could truly fix, but for now, I’m happy with my Lipomassage results. Are you considering trying any type of body contouring treatments? Tell us! DailyMakeover.com from Makeover Solutions, Inc., is the web’s leading beauty information site, providing virtual makeover technology and content for women to create personalized makeovers. DailyMakeover.com’s virtual Makeover Studio enables users to see themselves wearing numerous hairstyles, makeup shades and fashion accessories to create their best makeovers, which can be saved, printed, or emailed. DailyMakeover.com is headquartered in New York City. Happy National Nutrition Month! Half of the battle when it comes to healthy eating and nutrition is simply knowing which questions to ask in finding solutions that fit your personal needs and lifestyle. Have you ever found yourself standing in an aisle at the grocery store, facing countless choices and wondering where to start? Where’s a handy FAQ Section when you need one? With so much information (and misinformation) out there, doing your health homework means sifting through all of it to find the most informed and reliable sources of advice. How do I really know how many calories to eat? Is there a danger in consuming too many Omega 3s? What’s the best thing to eat after my hard workout? Does drinking out of a straw really make me bloated? Everyone will have an answer to these questions– your personal trainer, the nutrition-related infomercial you saw on TV, your fitness-magazine-reading best friend. Remember that nutrition is a health science, which requires years of study and experience to achieve true expertise. And despite the information you receive from its many sources (chefs, writers, food bloggers, doctors, nutritionists) sometimes what you really need is to go straight to a nutrition expert, a Registered Dietitian. Registered Dietitians (RD) are nutritionists, but not all professionals operating under the title nutritionist are RDs, who meet the gold-standard in professional nutrition. Submit your question for me at the Access Hollywood Live facebook page and check out their blog updates every Thursday! 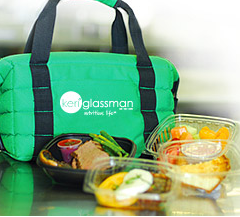 Nationally recognized nutrition expert and published author Keri Glassman is the founder and president of Keri Glassman, Nutritious Life, a nutrition practice based in New York City. For years, Keri has been a leader in advancing a “whole person” approach to health and wellness.She has dedicated her career to creating services and promoting education through her Nutritious Life brand. 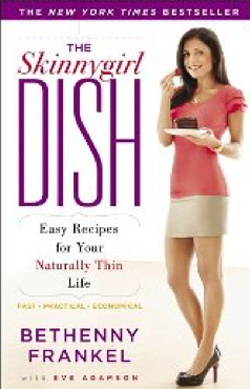 She has authored two books; the most recent is The O2 Diet. The Cutting Edge, Antioxidant-Based Program That Will Make You Healthy, Thin and Beautiful. (Rodale, December 2009.) This book translates complex scientific research on antioxidants and the ORAC scale into useful and usable tools that everyone can benefit from. It empowers people to live a more Nutritious Life by combining a nutrient dense, high antioxidant diet with the other components of a Nutritious Life. The O2 Diet follows the Snack Factor Diet, (Crown, 2007. )Keri is a contributing editor and advisory board member for Women’s Health Magazine, and was the first registered dietitian to create a real food based snack bar, KeriBar.Additionally, Keri is the Nutrition and Health contributor for NBC’s New York Live, and is regularly featured on national television programs including NBC’s The Today Show, ABC’s Good Morning America, Access Hollywood Live, The View, Dr. Oz, The Doctors, The Wendy Williams Show, MSNBC and The Fox News Channel. Keri resides in New York City with her children, Rex and Maizy. 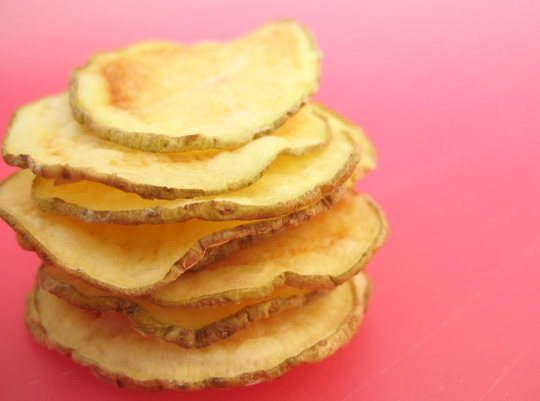 It’s 2:00 in the afternoon, or for some it can be 2:00 in the morning when all of a sudden you are consumed by a craving for ice cream, potato chips and other cheat foods you’re trying to ween yourself from. When a craving hits, it can hit hard and it can hit fast, and it’s in this moment that we’ve given ourselves two options: give in or resist. If you give in to the temptation, you wind up feeling guilty and won’t even enjoy the object of your craving. 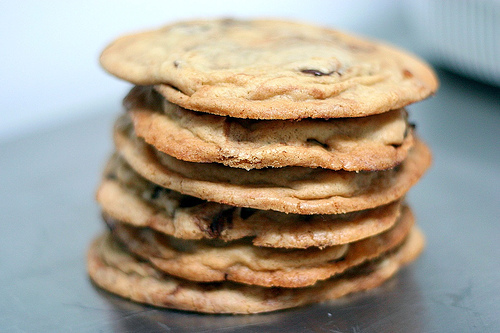 If you resist all together, you end up feeling deprived and frustrated as visions of cookies dance in your head. Then, when you do eventually give in to your craving, you overindulge and wind up having way more than just one cookie– realistically it’s more like four or five. To take control of your cravings there is actually a third and much less disclosed option available. By saying to yourself, “I can have it later” you remove the “should I or shouldn’t I” dialogue that is waging a war in your head, or driving your coworkers and friends crazy. You end the need to justify satisfying your craving or not and let yourself be for the moment. If and when you are able to postpone the craving, you will delay eating it and in the end wind up desiring it less. The trick in convincing yourself to let the the craving pass is to create a vague time frame in the future to satisfy it. Think not, “I’ll have a cookie at 4:00,” but rather, “I’ll have that cookie later if I want it.” Postponing gives your mind the chance to cool-off, takes you out of conflict mode and combats torn feelings of guilt and deprivation. Don’t forget that postponing your craving may also give you the time to substitute a healthy food instead of the sugary snack you initially wanted. Put your mind to the test and take control of your cravings! Remember- a mind is a terrible thing to waste! Lana Levy is a nutritionist specializing in taking a holistic approach towards healthy eating, not only to help her clients achieve their goals, but also help them maintain a healthy lifestyle. Lana has also incorporated her passion for yoga into her services for her clients, as a way to stay fit, and create a balance between the body and the mind.Lana received her degree from Columbia University, where she completed her Masters in Nutrition and Exercise Physiology. In 2010, Ms. Levy became a Registered Yoga Teacher through an intensive training with YogaWorks here in New York City. In 2011 she completed a Prenatal Yoga Certification.With a background in nutrition and yoga, Lana works with her clients to create customized nutrition plans and yoga sequences that are specifically tailored to their needs. Whether the goal is weight loss, healthy weight gain, energy improvement, pre and post natal health, relief from various gastrointestinal ailments, Just For Today can provide you with tools to make a change for life! In the 1990’s we were a fat phobic society. Happily eating fat free muffins, fat free ice cream, fat free cheeses and not giving a second thought to the fact that these items were chock full of sugar, calories and preservatives. Then came along the Atkins generation and all of a sudden we were scared to death to put any carbs into our mouths. Instead, without an ounce of guilt we feasted on fatty meats and cheeses, glad to see a dip on the scale but not realizing what these foods were doing to our cholesterol and arteries, let alone fueling our brains inappropriately. I see it everyday. People come to me for nutritional counseling, confused as to how they should lose weight, maintain their weight or how to eat a healthy diet. And you know what? I don’t blame them for being confused! There is a lot of information floating out there, and a lot of it is misinformation. The good news is that it doesn’t have to be so complicated. However, I will tell you this; to successfully lose weight and maintain, it’s not about going on one of these fad diets you read about, or doing a cleanse that everybody at work is talking about. Yes, the end result may be that you lose weight, but you will not maintain it. The only way to do so is by making a lifestyle change, one that is permanent with lasting benefits. Drinking spinach juice with a touch of wheatgrass is not a realistic meal plan for the rest of your life, nor would you want it to be! Where is the pleasure in that? A basic principle of weight loss and maintenance is that the majority of your calories should come from lean protein. This includes all animal protein like chicken, fish, beef, eggs, meat and soy protein as well. 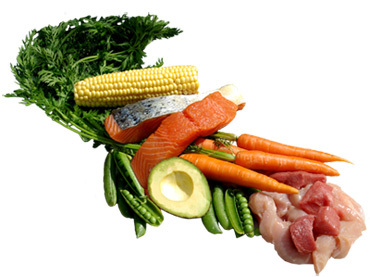 Your carbohydrates should be coming mostly from vegetables and a small amount of fruit. It’s important not to cut out fats all together- healthy ones found in foods like olive oil, egg yolk, nuts, avocado and omega-3 are actually good for you and weight loss. 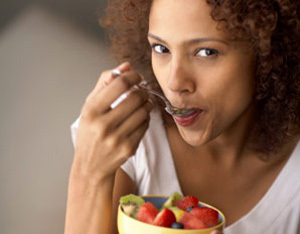 Foods that are the main source of weight gain are bread, pasta, cereals, corn products and rice. White bread/pasta or whole-wheat bread/pasta are pretty much nutritionally identical; the same goes for white and brown rice. The only difference is that whole wheat bread and brown rice are less processed, and won’t cause your blood sugar to spike and crash as dramatically. 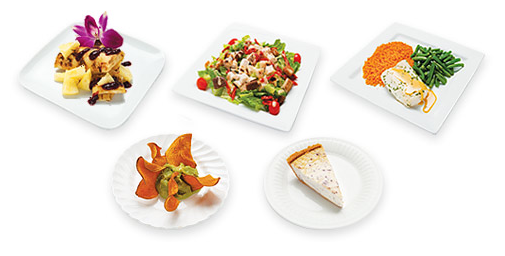 These are foods that are often referred to as “simple sugars” or “simple carbohydrates”. Losing weight doesn’t have to be about starving yourself (and most certainly shouldn’t be), but rather, learning how to make better choices. It takes effort to make those lifestyle changes but you’re worth it! Don’t let swimsuit season get you down, I’ve got the skinny on the superfoods for trimming your waistline and making you look and feel better from the inside out. I’ve spent the last 28 years in search of the most potent and healing foods and herbs to use in my nutrition clinic, traveling from the dense jungles of the Amazon Rainforest in Brazil to the Himalayan Mountain region of Inner Mongolia and everywhere in between. While, I’ve come across some amazing herbs and powerful foods in my travels around the globe, the good news is that several of my most tried and true superfoods for slimming down are available in your local grocery store! Here are my top five accessible and delicious superfoods that will help burn off those extra pounds and give you that radiant summertime glow that will make heads turn. 1. Spice it up with Capsicum & Ginger – Put the spice in your summer refreshment. Capsicum is one of my favorite superfoods because it is chock full of nutrients and medicinal properties. I’ll bet you didn’t know that a cayenne pepper has more Vitamin C than an orange. And ginger is also an amazing superfood that works wonders for your digestive system, helping to ease indigestion and bloating. So, how do these two potent foods help you slim down for summer? That sizzle on your tongue is the same spark that ignites your internal fire and generates heat, which in turn revs up your metabolism. I recommend drinking a hot unsweetened Chai tea once or twice a day and adding a little fresh ginger and crushed cayenne pepper to jump start your weight loss. 2. Guarana Boosts Energy & Binds the Appetite – This amazing little seed from the Brazilian Amazon Rainforest has over 2.5 times the amount of caffeine as coffee without any of the side effects commonly known in caffeinated coffee. It also boasts theobromine, which is the same active “feel good” compound in chocolate, which counters the negative side effects of caffeine. Guarana is Mother Nature’s perfect little energy booster with a bonus – it has also been used traditionally by the indigenous people of the Amazon Rainforest to suppress appetite in addition to boosting energy! Now, be careful, because a lot of energy drinks tout Guarana as their key ingredient, but these are often loaded with sugars, artificial sweeteners and other harmful ingredients. Be sure to read the label. My top pick for energy is Genesis Today’s Wake Me beverage, which is available at Walmart in the refrigerated section next to the Orange Juice. This all-natural beverage contains generous amounts of Guarana and also has 500% of your Daily Value of Vitamin B12 for an added energy boost. 3. Go Green for Beauty – The darker the green, the better the veggie is for you. I could go on and on and on about how Kale, Mustard Greens, Celery, Parsley and all these dark leafy green vegetables help detoxify the blood and balance the body, but I’ll just tell you how incorporating them will speed your weight loss. Replace your breakfast with a green veggie juice and you’ll enjoy a whole load of alkalinizing beauty benefits. On top of flushing excess water and toxins, the green juice is loaded with chlorophyll, minerals and numerous plant compounds as well as tons of natural enzymes, which aid digestion and reduce bloat. I understand that freshly juiced Kale and Spinach is sometimes hard to come by, that’s why I turn to this new product called GenEssentials Greens, which you can find at Whole Foods and other health foods retailers. These Greens have over 25 billion probiotics per serving, and each serving is chock full of vitamins, minerals, dark leafy green veggies and a plethora of essential herbs to cleanse and nourish the body and support the immune system, brain and eye power – and beauty! I drink them every morning by adding them to my fresh made veggie juice, it’s double the benefit. 4. Add a Splash of the Sea – Look at cultures who rely on the sea for the majority of their diet and you’ll note that they experience very few weight concerns – obesity is not an epidemic in Japan. That’s because the sea is chock full of waistline-friendly superfoods like Kelp, Fish and Algae. Kelp is a sea vegetable that is loaded with iodine, which is the key nutrient for the thyroid gland that is responsible for regulating metabolism. A happy thyroid means happy metabolism, so try adding some dried kelp flakes on top of your salad or adding the powder to your green veggie juice. Also hailing from the sea are several sources of Omega 3 fatty acids, like Fish and Algae, which are important for supporting healthy weight as well as healthy skin and hair. There are two products I love for Omega Fatty Acids, one is Genesis Today’s Omega Orange Juice available at Walmart in the refrigerated section and Genesis Today’s Superfruit Omega Gummy Vitamins which are available at Walgreens. Both are excellent additions to a daily diet. 5. B-Vitamin Beauty Booster – If I told you there was one family or group of vitamins that could improve just about every system in your body, make your hair grow thicker, make your nails grow stronger, boost your energy levels and support your metabolism, would you believe me? B Complex Vitamins are one of my secrets to health and beauty, they are key to turning our food into energy (this would be called metabolism) and most people don’t get enough in their daily diet. That’s because B Vitamins are found in foods like brown rice, liver, and oysters, and they are wiped out of our system by caffeine, stress and alcohol. Additionally, B Vitamins have to be brought into our bodies daily because our bodies do not produce them on their own. The best way to get your B Vitamins is by eating liver every day. Just kidding! Try a liquid supplement, I recommend one of the Genesis Today juices like Acai Berry Juice, Pomegranate & Berries with Resveratrol or Cranberry Goji Juice. You can find these in the refrigerated section of your local grocery store and they contain 1,000 percent of you daily value of Vitamin B12 as well as strong doses of the rest of the B complex family of vitamins. Have a glass every morning instead of your coffee and you’ll notice a dramatic change in your energy levels in only one week, and when your energy is up – so is your metabolism! 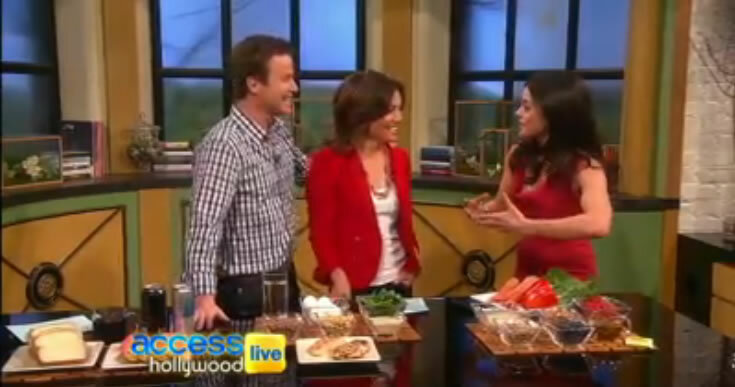 Dr. Lindsey Duncan has helped celebrities like Demi Moore and Marc Jacobs slim down by learning how to eat healthy and make nutritionally sound choices. Not only has he gained fame through his celebrity clientele, he has also gained notoriety within the nutrition/health field for his work in bringing superfruits/superfoods to the mass market – His passion for superfoods is what put him on the map. His current mission is to bring superfruits to the masses, by single handedly working with Wal-Mart to offer healthier options within their grocery shelves, through his company, Genesis Today.